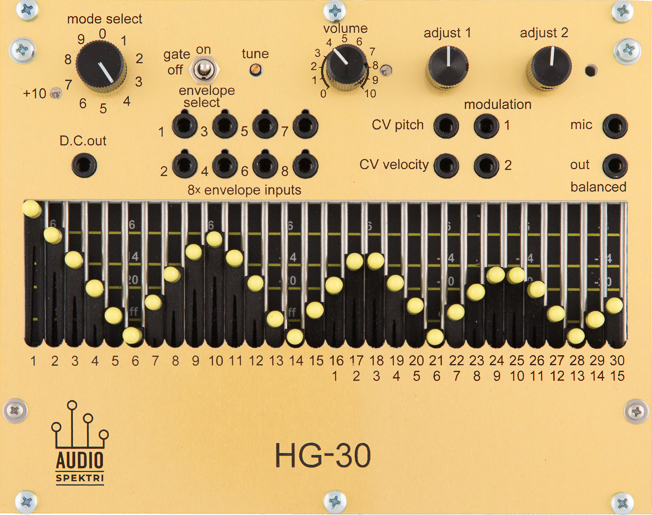 Home of the HG-30 and HG-16 Eurorack compatible modular synthesizers. Official Discussion & Support Forum! We’ve started an official discussion and support forum on the modular synthesizer community, Muff Wiggler! You can either find it on the “Official Company Forums” section of the site or by following this link: https://www.muffwiggler.com/forum/viewforum.php?f=83 Feel free to discuss or ask us anything regarding our company or our products! We have a few demo units of the HG-30 and HG-16 synths that will be sold for a 25% discount from the list price. They are fully functional, but may have minor cosmetic flaws. Under construction, check back soon for new content! Home of the HG-30 and HG-16 modular synthesizers.